Ratatouille, a classic dish from the south of France, is packed with summer-fresh produce. 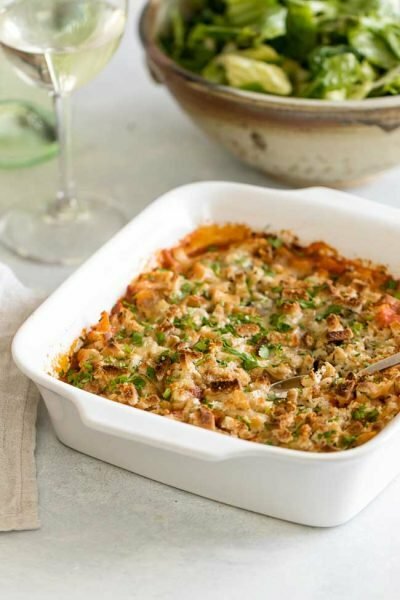 This version takes the best of the classic dish, adds some chicken, and turns it into a sheet pan dinner. This sheet pan chicken ratatouille is a lower-maintenance dinner that can be served hot, at room temperature, or cold. On the long list of places I’d like to visit – including, but not limited to, Japan, Newfoundland, Iceland and Charleston (which, by the way, is the closest in distance yet I’ll probably get to Japan first because it seems, at least for me, the closest places are often the hardest to get to. Why is that?) – Provence, in the south of France, tops the list. I once had a trip planned that tragically fell through the cracks of a shattered relationship and while I’ve gotten over the relationship, I haven’t gotten over Provence. I still carry a torch for it. And when I finally get to Provence I will indulge in what might be one of the region’s most famous dishes: ratatouille. It’s a celebration of summer vegetables and one I’ve been thinking about a lot lately seeing as summer has decided to settle in after a remarkably short spring. These days the air is so hot and thick it feels more like late July than May and so I’ve gotten a bit of a head start on cooking mid-summer produce and ratatouille is a great way to put all that summer goodness to work. 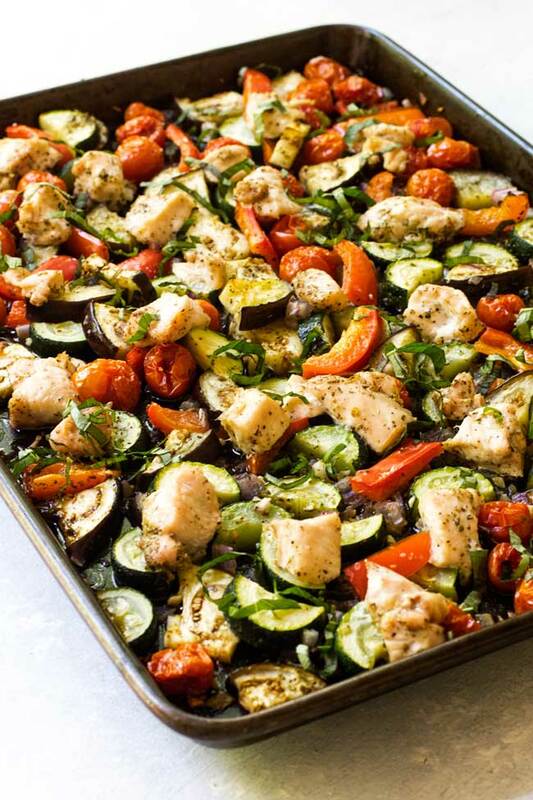 I should mention I’ve filed this recipe under the department of “let’s take a classic dish and change it,” because we have a ratatouille that’s basically a symphony of summer-fresh vegetables with some simple boneless skinless chicken breast cooked together on a sheet pan. It’s not traditional (apologies to the traditionalists), but more of a variation on a ratatouille theme. 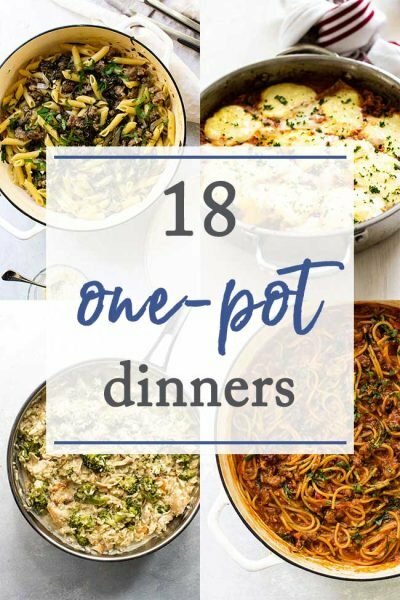 It’s not stewed on the stove or baked in a casserole dish but its flavors honor the classic from which it was derived. 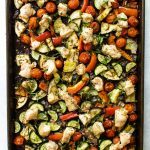 Like the sheet pan chicken with garlic-basil veggies I shared a week or so ago, this sheet pan chicken ratatouille is a light dinner packed with so many good-for-you ingredients like eggplant, zucchini, bell pepper, and fresh herbs. The chicken (also not traditional) takes it from side dish to main course. The preparation is best described as freestyle – no standing over a hot stove stirring a hot stew or tedious slicing and arranging of the veggies in a baking dish. It’s really a chop and toss operation. The best kind of operation, in my opinion, especially during the summer. The best part of this sheet pan dinner is that all of the ingredients cook for the same amount of time, so it’s as simple as tossing them all together – including the chicken – on the sheet pan. You don’t need to cook them in stages. 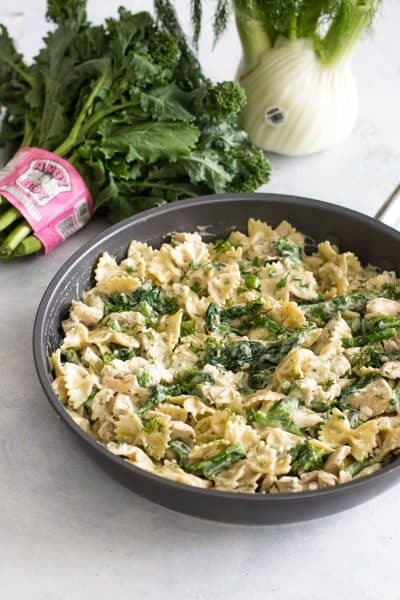 The vegetables and chicken are seasoned with some dried oregano before they go in the oven and then garnished with fresh basil right before serving. 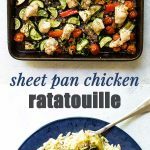 You can serve this sheet pan chicken ratatouille all on its own as a low-carb and light dinner or cook some pasta or rice to serve on the side. 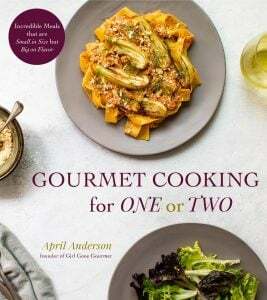 I enjoyed it with some buttery orzo and I’ve shared how I made it in the recipe notes. And like a classic ratatouille, this version can be served hot, at room temperature, or cold. The leftovers are great, too, because a little time in the fridge gives all the flavors more time to develop and marry. Ratatouille, a classic dish from the south of France, is packed with summer-fresh produce but instead of stewing or arranging the veggies in a baking dish I like to toss all of the ingredients on a sheet pan. 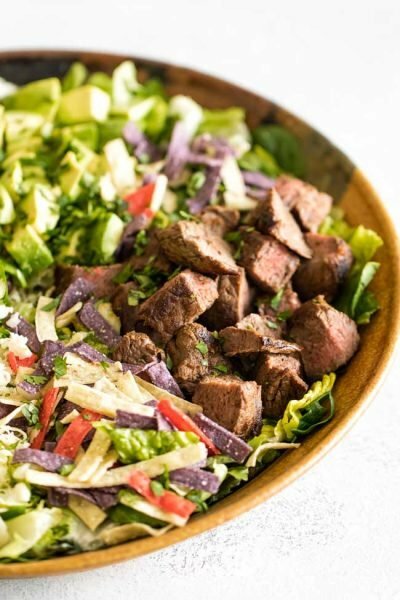 It makes for a lower-maintenance dinner that can be served hot, at room temperature, or cold. Serve it all on its own or with rice or pasta on the side. I’ve included how to make a simple butter orzo in the notes, which is my favorite way to enjoy it for dinner. Preheat the oven to 425 degrees. Combine the oregano, salt, and pepper in a medium-sized bowl. Add the chicken and toss it with the seasonings until it’s evenly coated. Set the chicken aside while you prepare the vegetables. 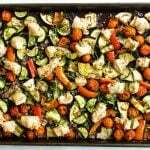 Place the eggplant, bell pepper, and zucchini on a large sheet pan. Sprinkle the onion and garlic over the top followed by the cherry tomatoes. 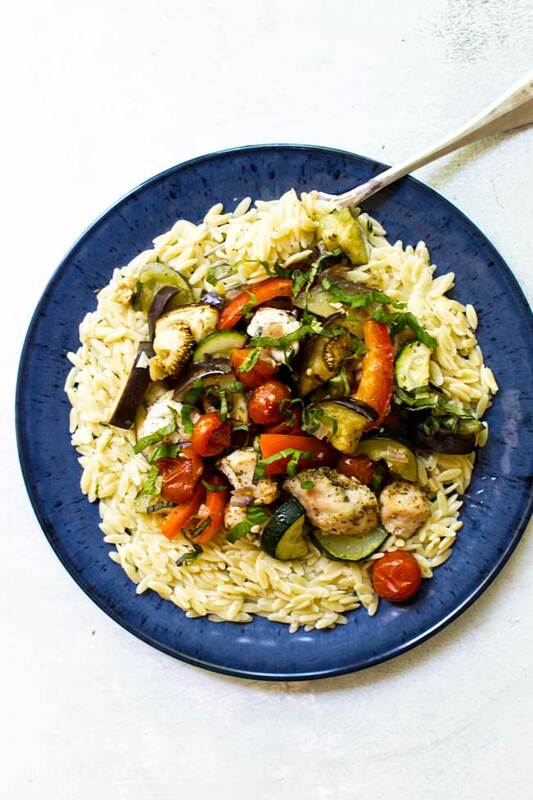 Drizzle the olive oil over the top of the vegetables and sprinkle the oregano and salt over the top. Stir the vegetables around to coat them evenly in the oil and spices. Place the chicken pieces on the sheet pan with the vegetables. Bake the veggies and chicken for 20 to 25 minutes, or until the chicken is cooked through. Garnish with the sliced basil and serve. To make the butter herb orzo (serves 1): cook 1/2 cup according to package directions. Drain the pasta and set it aside. Place one tablespoon of butter in the pan you used to cook the pasta. Add 1 teaspoon of chopped fresh thyme and stir it into the butter as it melts over medium-low heat. Once the butter is melted add the cooked orzo, and a couple squeezes of fresh lemon juice. Stir to combine and season with a few pinches of salt and pepper. Nutrition estimates do not include the butter orzo. Yum this looks good. You inspired me to check with my town to see if i can still got a spot in the pea patch. I want to grow my own! I’m always looking for new ways to serve chicken. This is fantastic! Even better, it can be made all on one pan. That’s a total win. 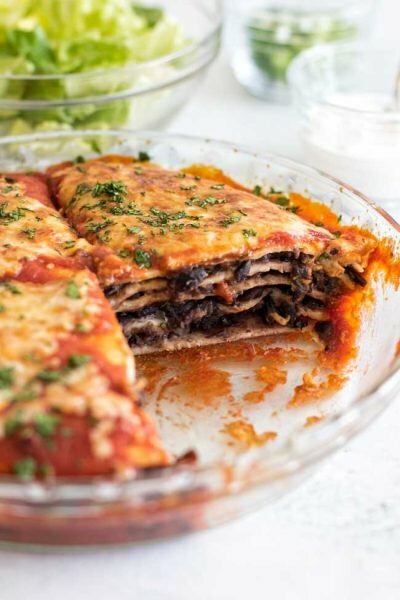 This totally satisfies my eggplant craving and I love that it can be made all on one pan! SWEET!